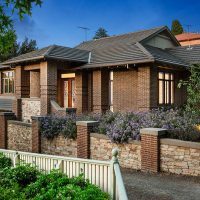 Homes of Imagination is a Melbourne-based company and we have an intimate knowledge of the style of homes, around various parts Melbourne. 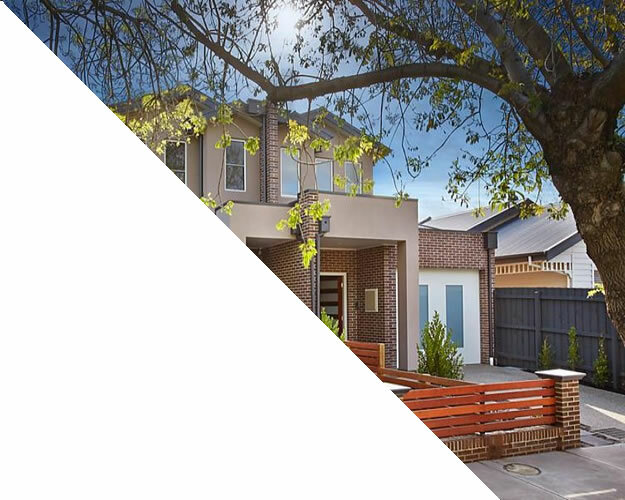 Our work has included new homes, extensions and renovations which has taken us over various parts of Melbourne, such as Alberfeldie, Alphington, Balwyn, Brunswick, Coburg, Eaglemont, Essendon, Fairfield, Ivanhoe, Kew, Moonee Ponds, Northcote, Preston, Rosanna, Thornbury, Keilor to name just a few. Your wish list: what do you absolutely have to have, what do you absolutely not want and what are you willing to compromise on? Homes of Imagination will lead you on the complete homebuilding journey. At Homes of Imagination, we provide a no-obligation assessment of your lot to ensure it meets your exacting plans. We can also use our own extensive networks to identify other purchase opportunities. A custom designed home by Homes of Imagination uses the advantages of the site and combines them with the requirements specified by the owner. Both are achieved within the constraints imposed by statutory authorities such as local councils. We believe every site, whether urban or rural, offers inspiration. We focus on designing functional and meaningful spaces that serve the occupier whilst providing physical comfort and aesthetic pleasure. Our innovative construction systems and use of materials always ensure our custom homes are unique. Extensions or alterations to an existing house are the most common type of building works people take on in Melbourne. In addition to the Lifestyle and Investment Value ideas raised under design, the following ideas need to be considered. The most important theme in alterations and additions can be dealt with in many ways. A clean break from the existing style and structure of the house may be the best option to achieve the lifestyle and comfort objectives in your project. On the other hand, your existing house plan may already be suited to your lifestyle, and all that’s required is a thoughtful graft onto the existing structure. How far do you go? There are some basic rules that will guide the design process. There will be certain obligations to be followed regarding the existing frontage to the street. There also may be advantages to sticking to the existing building envelope, especially if council has tightened up on building setbacks to new works. Excavation is often seen as a neat way to maximise floor area while sticking to the existing footprint, but this can be costly if underpinning is substantial or access for machinery is tight. The same can follow for upper level extensions. • How Much Can You Really Save? In many cases, the costs of keeping parts of the house and re-building others may end up being more due to the complexity and time involved in the solution. Building elements can often be recycled – ornate windows or old brickwork – if the work and costs required to prepare them for building in is minimal. Of course, it may not be so much a question of cost than of character that will drive the decision. Expect a hands-on approach, with direct involvement with John and the team as we piece together your home vision. We’ll keep you informed of the progress and do our best to accommodate any changes or modifications. Our relentless passion ensures a precision build, with scrupulous attention paid to every last detail along the way. The result is a breathtaking home of inimitable aura. Homes of Imagination is an advanced builder that welcomes new ideas, trends and building practices with open arms. When you build with Homes of Imagination, you’re building the ultimate expression of your style. Offers an exciting opportunity to create a distinctive building that responds to your individual needs and delivers specific lifestyle benefits. Instead of having to buy a home that is built with a generic family in mind, a custom-home builder works both with you and your unique needs to deliver a one-of-a-kind result. When both builder and architect work together exceptional results are assured. Make sure you are aware of the materials that your existing house is constructed from. There are stringent Occupational Health and Safety (OH+S) requirements that must be met before you can remove materials such as asbestos or lead-based products. Ignoring the risks may have long-term consequences to your health. Licensed builders and specialist contractors can be engaged to deal with complex demolition issues that may arise. The most obvious advantage to altering or adding onto your existing home is that you are utilising part of the existing building, which can reduce the necessary budget although this may not always be the case. If there is a clear distinction between the sections of new works and the portion of the existing building worth salvaging and restoring, the results can be economical. If the alterations or additions involve a complex graft in to the existing fabric, it may be more cost effective to demolish completely and start from scratch. The state of the existing building will affect the contingency for variations that should be anticipated during construction. Cheap quotes can quickly turn into a financial burden or an unfinished building if your builder has excluded essential remedial work to the existing building and deflated or ‘undercooked’ their price to get the job. Pre-existing conditions may encourage you to go with the existing shell of the house. Your local council may have tightened up on setbacks for new buildings. Using the existing shell may allow you to keep the advantage of a setback to the boundary that may no longer be allowable under current planning controls. When our in-house design services are not required, we will happily work with your preferred architect or designer. With an eye on optimising value, our team take on a collaborative role to streamline the design process. We ensure design and approval outcomes are compatible with your budget. We assist architects to achieve the most efficient build for their design. This service is entirely tailored to your needs. We welcome the opportunity to discuss this further with both you and your architect/designer.